Opening on Sunday, September 6th at 15.30. The exhibition can be visited already from August 30th! Extra: on October 10th, the second Bad Bentheimer Kulturnacht will take place from 18-24 hours. 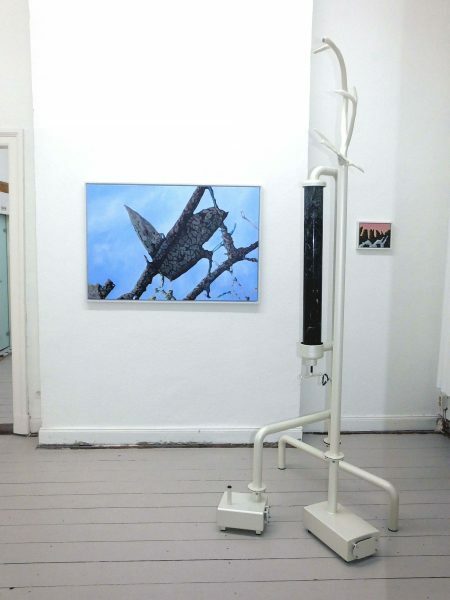 Paul Dikker and Willem Harbers are present this evening and arrange tours through the exhibition. We look forward to fruitful and pleasant talks! Umbriaweine.de will organize a wine tasting this evening. You are cordially invited to visit the gallery during business hours, or by appointment. 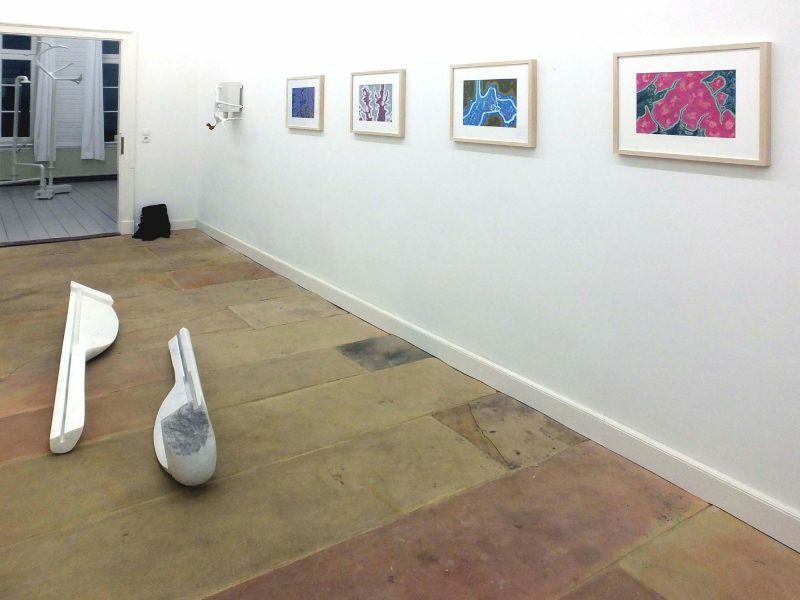 In addition to the current exhibition there are works in stock by artists that the gallery collaborates with. Just across the border near Enschede is Bad Bentheim. 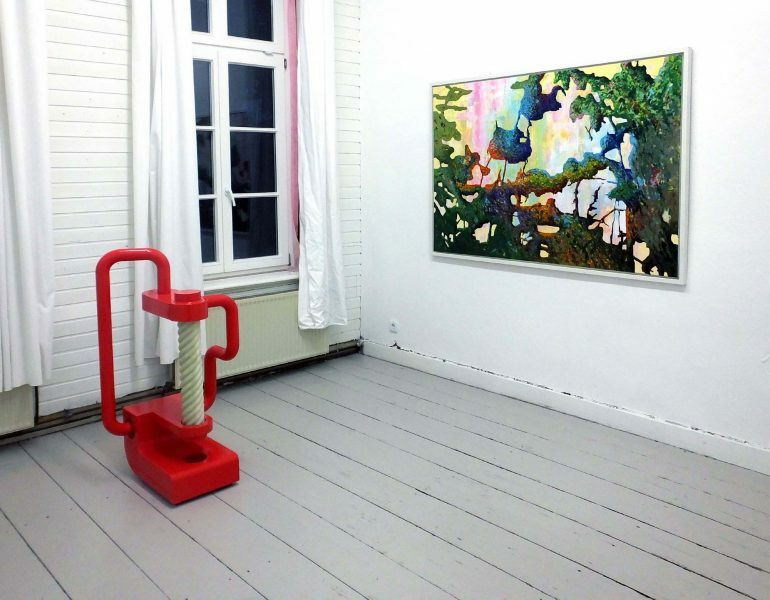 Here you’ll find Galerie Haus 34A from gallerist Ellen Timmerman. 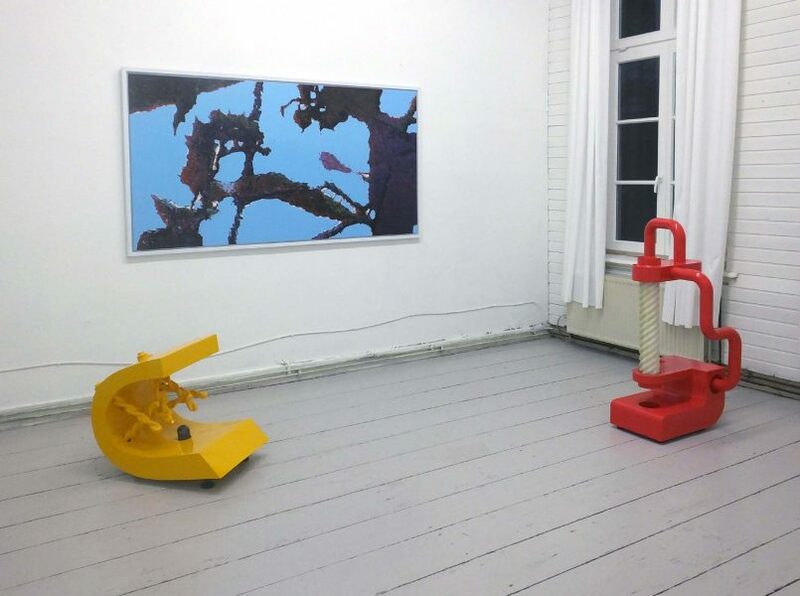 In the current show you will see work by the painter Paul Dikker and the sculptor Willem Harbers. The works of Harbers are ambiguous in their occurrence. Smooth, aloof, functional and sterile. They refer to machines and laboratories, to transport systems, chemistry and energy. But they are also simultaneously dreamily, as if they were from a different world. Some images are autonomous and inward-looking, have a closed circuit. Others seem to need to be connected to unknown and invisible systems, something like a power strip does. Dadaïsts like Francis Picabia and Marcel Duchamp coupled the mechanical to human dynamics like eroticism and love, these are love machines. Tinguely’s machines produce “uselessness”. And the works of Harbers …?, they produce time, slow time, stored in marble. haus34A wants to be a place of encounter and exchange for artists from different fields with an interested audience. For this purpose, there are the gallery and the artist home. 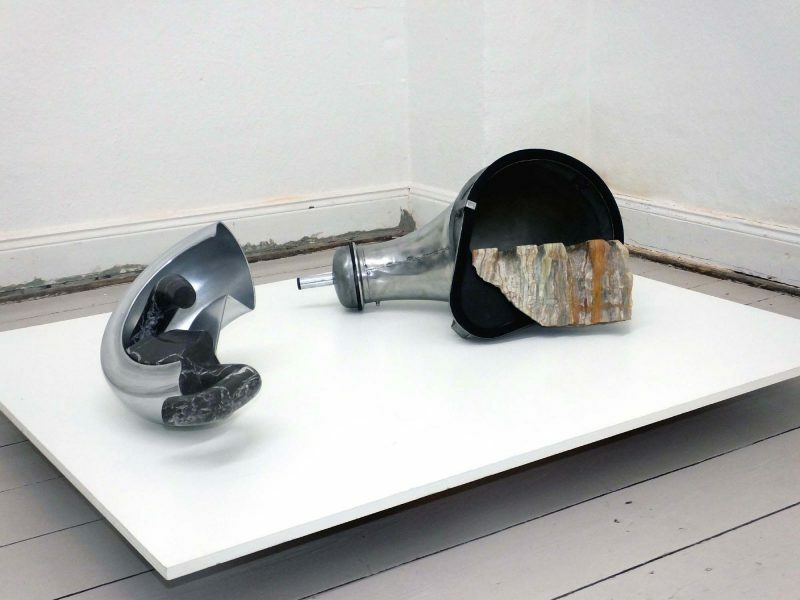 The aim is to promote contemporary art and the positions of the artist. 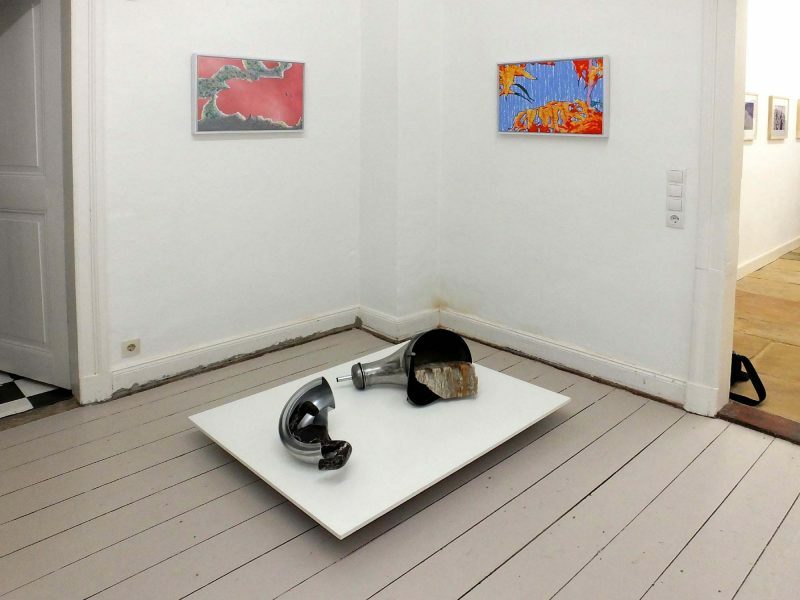 The gallery shows mainly contemporary art: painting, drawing, as well as installations and sculptures. Focus is abstract, conceptual art. The exhibitions are, if possible, accompanied by a side program. 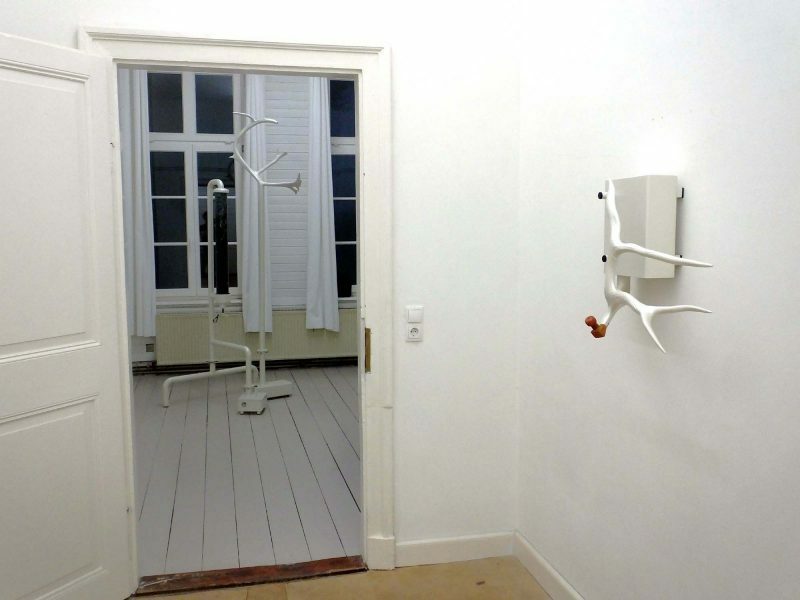 The Künstlerhaus offers artists the opportunity for a limited period, from 2 weeks to a few months to live in the house and work. At the end of the stay is to the public by means of exhibition, reading, workshop or lecture, given an insight into the artistic work. 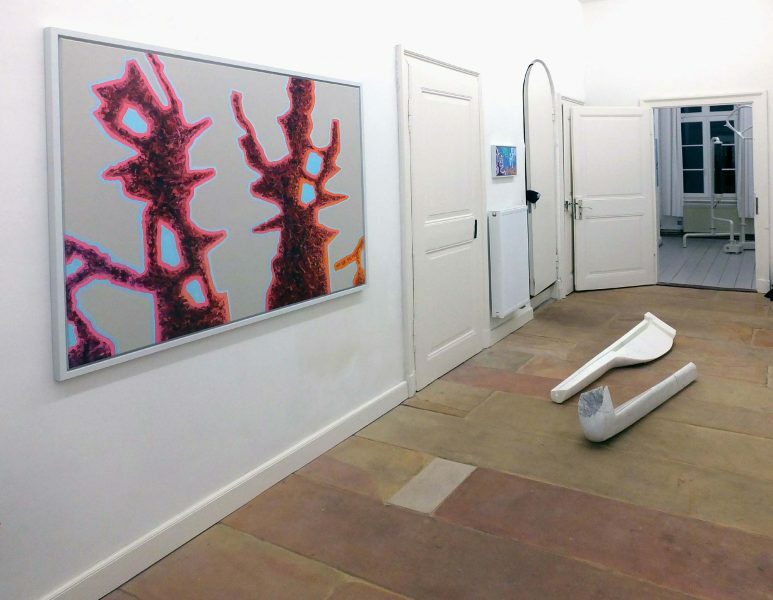 Through cooperation with art associations and other institutions haus34A want to complete the program and is therefore always interested in new partnerships.